LAGOS/MOSCOW (Reuters) - Nigeria has selected two sites for the construction of its planned nuclear power plants, as Africa's biggest economy tries to end decades of electricity blackouts that have blighted its growth. 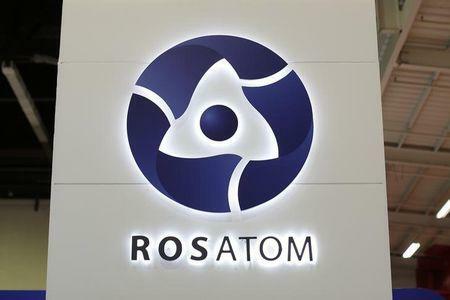 Russia's state-owned Rosatom, which has been in talks with Nigeria over the nuclear plants, on Friday confirmed two sites had been selected in Africa's most populous nation and said they would have a total of four reactors. Neither side would say where the sites were, but 7a source at Nigeria's nuclear agency said the sites will be in Akwa Ibom state, in southeast Nigeria, and Kogi state, in the central northern part of the country. Nigeria, with a population of around 170 million, has installed power capacity that fluctuates between around 6,000 MW to just over 7,000 MW, according to the Transmission Company of Nigeria, with 80 percent of its power plants fired by gas. By comparison, South Africa's capacity is almost seven times greater for a population less than a third as big. Africa's biggest economy has no experience in developing and operating nuclear plants but has small reactors producing around 30 KW for research, Franklin Erepamo Osaisai, chief executive of the Nigeria Atomic Energy Commission, said on its website. One nuclear power plant costs between $5 billion to $8 billion, a source at Rosatom said. Nigeria has not yet said how it plans to fund the construction, a key question given its finances have taken a hit after a slump in the price of oil, its main export.